I love it when an album cover makes me jealous, usually this means that there was art direction on top of a great vision for the music. 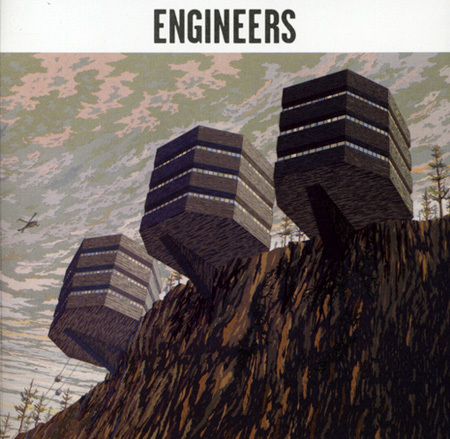 This self titled Engineers release came out in 2005 and got alil bit of love but was overshadowed by bigger names like Interpol, Phoenix, and The Editors. I think they sounded more like Telefon Tel Aviv or Air at times, definitely a great record to look for, i had to pick up a physical copy so i could have the art too. Telefon Tel Aviv Engineers – Three.. Mayer Hawthorne..
Sweet Type Placement. Rad illustration too. This is one solid album. I still play this at work and customers always ask what’s playing..never fails! That’s when I know something is underrated. This is one of those disks I bought purely because the cover art was so good…the inside is awesome, too. I didn’t dig the music too much, though. It’s been collecting dust ever since I listened to it for the first time in 06. Maybe I need to give it another listen. Great album and well produced. I feel like you’ve been stepping up your music posts a lot! I love the marriage of visuals and audio you have going on with your blog, but this is a specific thanks for turning me onto this album… I’ve found myself listening to it quite regularly at this point… Keep up the good work! 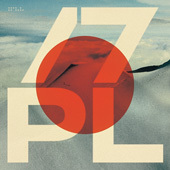 please tell me you are obsessed with AIR’s 10,000 hz legend cover art as well. that would make my day and tell me i’m on the right track design-wise.